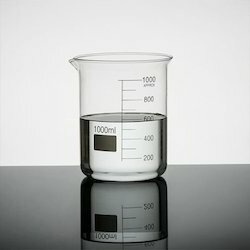 Our product range includes a wide range of hydrogen peroxide with nano silver stabilizer, algaecides chemicals, dairy disinfectants, peracetic acid, air disinfectant chemcial and water tank disinfection. Hydrogen Peroxide with Nano Silver Stabilizer functions as a broad spectrum multimedia biocide. 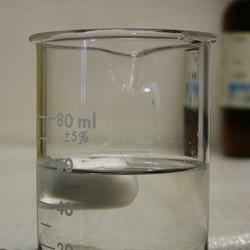 The disinfecting properties of hydrogen peroxide is increased many folds with the addition of silver. Upon completion of disinfection, it breaks down into water and oxygen and no other toxic residues, making it widely accepted. 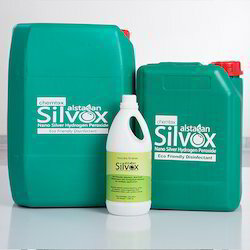 Due to its potent antiviral, antifungal, and antibacterial capacities, silver hydrogen peroxide marketed under the trade name of Alstasan Silvox is a potent micro-biocide much stronger than hydrogen peroxide alone. Potent oxidizer Hydrogen Peroxide stabilized with the addition of silver, where the silver functions as both stabilizer and activator for the hydrogen peroxide. This combination of hydrogen peroxide with silver is so effective that it is nearly twenty times more potent than hydrogen peroxide alone. Hydrogen peroxide with Nano silver stabilizer, or Silver Hydrogen Peroxide is safe to use, being both eco-friendly and nontoxic for humans and the environment. Silver Hydrogen Peroxide has a wide range of applications starting from drinking water sanitation, food and beverage industry disinfection, dairy farms, hospitals to agriculture and field sanitation. Algaecides Chemicals are a highly advanced bactericide and algaecide developed for effective control on bacteria,fungi and algae in cooling tower, swimming pool, and aquaculture treatment. 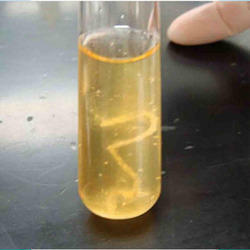 It is a unique product of Chemtex Speciality Limited having cationic charge on the active compound that forms an electrostatic bond with negatively charged sites on the cell wall of microorganism. The stress caused by this bond lead to cell lysis and finally death of the cells. In swimming pool treatment, this product helps in the prevention of biofouling and prevention of slime, algae or virus in swimming water. Apart from chlorination the other methods of treatment are with the use of biodegradable oxidizing disinfectants based on Per acetic Acid and Silver Hydrogen Peroxide. Both these biocides are highly oxidizing and highly effective on various bacteria. Algaecides Chemicals manufactured by Chemtex Speciality Limited also help to maintain a good water quality in an open water system which may help in ensuring a successful aquaculture. Cleaning and disinfecting is indispensable for maintaining the well being and health of high producing animals, such as dairy cows. 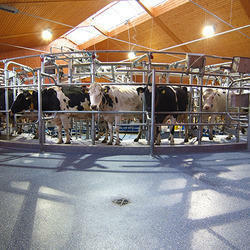 In the process of increasing productivity and density, the dairy farms in a way tend to increase the infection pressure. Proper cleaning and disinfection through chemicals can be the only way to prevent or break disease cycle and help in decreasing the pathogen level. Through extensive research and industrial expertise, Chemtex Speciality Limited has been able to manufacture Dairy Disinfectants product that gives an edge to the dairy farms by helping in enhancing the productivity without much fear of infections. Chemtex provides complex formulations with many active substances including sequestering agents, stabilizers, etc that offer the best result in terms of infection control and prevention. Chemtex Speciality Ltd manufactured product Peracetic Acid functions as a peroxyacetic acid based liquid sanitizer for the food and beverage industry. It's no rinse, non foaming formula and the ability to sanitize at cold temperature renders it ideally suited for use in CIP systems for food processing equipments. Chemtex manufactures Air Disinfectant that effectively kills microorganisms in critical area environments. Nontoxic and biodegradable, reduces the re-entry time to just one hour. Air Disinfectant prevents most air borne diseases like Leginellosis, Swine Flu, Influenza, etc. Chemtex manufactures a wide range of Water Tank Disinfectants used for applications specially used for inhibiting Boiler Corrosion, Oxygen Scavenger, Boiler Descaler, are manufactured to cater to all water related treatment. The main functioning area of Water Tank Disinfection is surface disinfection, which are always in contact with water and are prone to scaling and corrosion. For the Reverse Osmosis process of water, RO Antiscalant, High Silica RO Antiscalant, RO Membrane Disinfectant Biocide and RO Membrane Cleaner are produced as Water Treatment Chemicals by Chemtex Speciality Limited. Chiller water corrosion inhibitor, Glycol chiller corrosion inhibitor, inhibited glycol, Heat Transfer Fluid Corrosion Inhibitor, Non-oxidizing Biocide and Chiller Descalants are produced as part of the Water Tank Disinfectants. Liquid Chlorine can be effectively utilized for water disinfection. It is utilized on an extensive scale for surface cleaning, dying/ bleaching, odour expulsion and water sterilization. It is commonly known as bleach or liquid bleach or liquid chlorine, is frequently used as a disinfectant or a bleaching agent. Liquid Chlorine can easily be stored and transported, with an ease of handling. The dosage is simple. Liquid Chlorine is just as effective as Chlorine gas for disinfection. 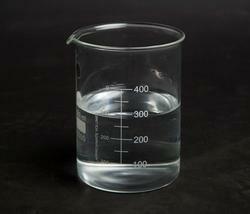 Liquid Chlorine is used on a vast scale. From horticulture, chemical industries, paint and lime businesses, f&b, glass & paper businesses, pharmaceuticals to waste management. 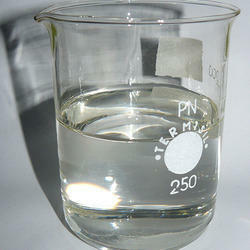 In textile industry, liquid chlorine is utilized as a bleaching agent. 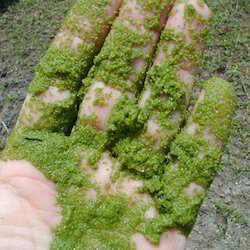 It is added to waste water to lessen scents. It finds use in cleaning cooling towers as well. Water Treatment with Chlorine is a much heard term. Fungicide includes a broad range of products which we cater for Aquaculture, Poultry, Hospital, Diary, and other such industries. These fungicides are widely applied in several organizations to carry out a safe, healthy and disease free successful business. These formulations are very effective in complete execution of fungal infections and also stopping their reproduction rates to inhibit the multiplication of microbial families. Fungal endospores, spore formulation all can be effectively cured with the application of the same. The fungicide range offered by Chemtex Speciality Limited aids in complete and full microbiological sterilization, without harming human beings and other untargeted life forms. Chemtex Speciality Limited manufactured product Sodium hypochlorite is a chemical compound with the formula NaOCl. It is composed of a sodium cation (Na+) and a hypochlorite anion (ClO-); it may also be viewed as the sodium salt of hypochlorous acid. It is commonly known as bleach or liquid bleach or liquid chlorine, is frequently used as a disinfectant or a bleaching agent. 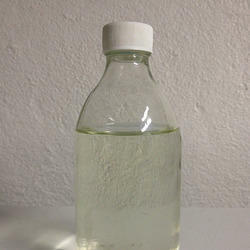 Sodium Hypochlorite is available in variants such as 5% chlorine content, 10% chlorine content and 12% chlorine content. 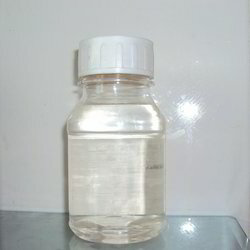 For higher chlorine content Chlorine Granules are also available. Chemtex Speciality Limited is involved in the manufacturing of Sanitizing Agents which serve as a peroxyacetic acid based liquid sanitizer to be used for the food and beverage industry. These are non-foaming in nature and suitable for CIP disinfection. This is a non-tainting and non-staining product that can be used in various applications as a disinfectant. These are capable of sanitizing at cold temperature which makes it suitable to be used in Clean-In-Place systems for food processing equipments. It serves as an effective disinfectant in cold plant operation and shows excellent rinsability. Chemtex Speciality Limited manufactures a wide range of Food Grade Sanitizers specially based on Silver Hydrogen Peroxide and Per Acetic Acid. Silver Hydrogen Peroxide based Food Grade Sanitizer serves as a synergized blend of silver and peroxide that has been stabilized to be used as a general purpose sanitizer in food and beverage industry, dairy etc. Peracetic Acid based Food Grade Sanitizer offered by Chemtex Speciality Limited, serves as a stabilized peroxyacetic acid based liquid sanitizer for food and beverage industry. It's no rinse, non foaming formula and its ability to sanitize at cold temperature makes it ideally suited for use in CIP systems for food processing equipments. Chemtex is involved in the manufacturing of a range of Disinfectant Chemicals that are responsible for the inactivation of disease causing microorganisms. 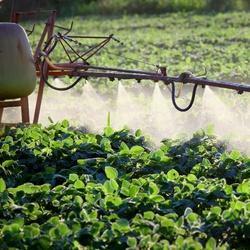 The nature of chemical disinfection depends upon the type of product used. Disinfectant Chemicals are referred to as antimicrobial agents which when applied to non-living items destroy microorganisms that are residing on the objects. Disinfectant Chemicals are additionally not the same as biocides which are planned to decimate all types of life, not simply microorganisms. These products work by obliterating their cell walls or interfering with their metabolism. Disinfectant Chemicals, offered by Chemtex, are typically "cidal" in nature, killing potential pathogenic agents. The choice of a disinfectant needs to be based on the function it needs to perform. Antimicrobial Chemical, offered by Chemtex Speciality Limited, is regarded as a range of chemicals that have been designed to control the microbial growth in different applications. Disinfectants are referred to as the main classes of Antimicrobial Chemical that are involved in the killing of microbes present on non-living surfaces for the prevention of the spreading of any type of infection. Disinfectants work by obliterating their cell walls or interfering with their metabolism. Chemtex Speciality Limited manufactured product Iodophor serves as a non-oxidising, non-phenol, non-chlorine formulation that has been specially designed for surface and water disinfection and sanitation. 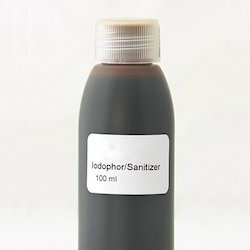 One of the crucial advantages of using Iodophor over any other sanitizer is that it doesnot require rinsing when used in exact proportions. Dairy industry extensively utilizes diluted iodophor formulation. 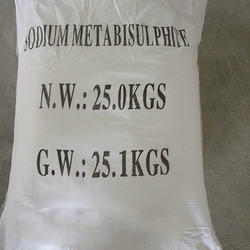 Sodium Metabisulfite, having the chemical formula Na2S2O5, is an inorganic compound that can sometimes be referred to as disodium (metabisulfite). It is effectively used as a cleaning agent for potable water reverse osmosis membranes in desalination systems. It also finds application as an effective antioxidant and preservative used in food. It also serves as a potent disinfectant. 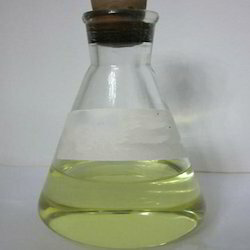 It is used in waste treatment to help in the chemical reduction of hexavalent chromium to trivalent chromium which can then be precipitated and removed from an aqueous waste stream. In the oil and gas industry, It is also used as a corrosion inhibitor/oxygen scavenger.